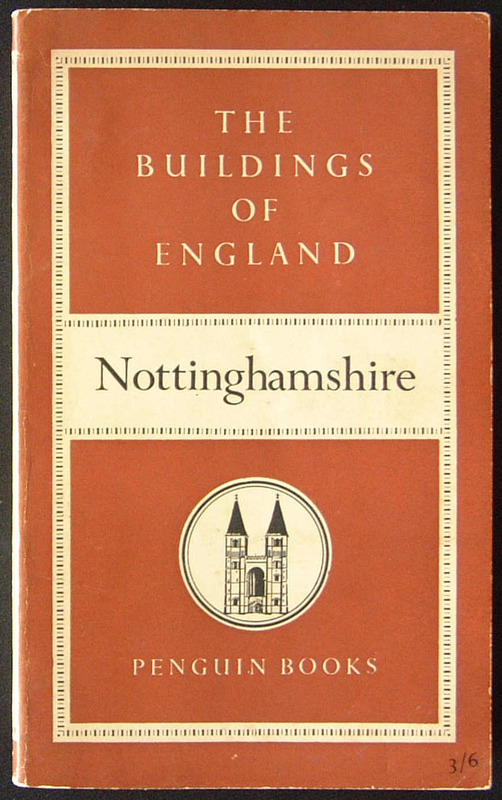 Published in July 1951, Nottinghamshire was one of the first three volumes of Pevsner’s 46 volume series Buildings of England. This series is as essential as the Ordnance Survey map for any walker, cyclist or motorist with an eye for buildings … In it he will find a reference to everything on his journey from the stone circle near St. Buryan which is called the Nine Maidens to Messrs. Boots’ factory near Nottingham … Professor Pevsner’s comments are always shrewd, and so thorough is he that he does not miss even ‘a merry little spire-let’ on an otherwise undistinguished Presbyterian church. With his Middlesex in one’s pocket one could visit Hampton Court or Syon House and be certain of seeing everything. By 1954, the series was in trouble as sales were down, It was no longer economical to produce the books even with the higher prices of 5/- (25p) for the paperbacks and 8/6 (about 42p) for the hardbacks. Alternative funding was eventually found, most notably from the Leverhulme Trust, who subsidised the work on future editions. Publication resumed in 1957 with two or three titles issued annually. With the books being ever more extensive in scope, specialist co-authors were brought in. 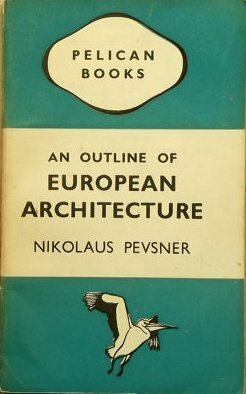 Pevsner wrote 32 of the books himself and ten with collaborators, with a further four of the original series written by others. John Betjeman, the English poet, writer and broadcaster, and like Pevsner a member of the Victorian Society edited the Shell Guides to the English counties (which were in competition with Pevsner’s) . He mocked Pevsner believing him dull, and a scholarly collector of lifeless details. Betjeman told would-be contributors to his Shell guides that ‘the eye and the heart are the surest guides’ to architectural taste, not so subtly implying, that Pevsner was deficient in both. His habit of referring to Pevsner as ‘Herr Professor Doktor’ is telling. What might have rankled is that Pevsner undertook a project, The Buildings of England, that Betjeman might have thought ought to have had his own name on it. This is Pevsner’s monument, and one that Betjeman, for all his qualities, lacked the discipline and objectivity to aspire to. The Buildings of England series was finally completed in June 1974 with the publication of Oxfordshire and Staffordshire. Since Pevsner’s death in 1983, work has continued on the series, which has been extended to cover the rest of the United Kingdom, under the title Pevsner Architectural Guides (now published by Yale University Press). 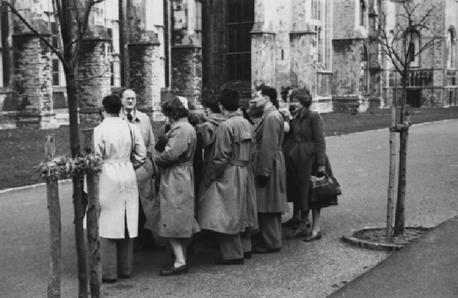 Pevsner was awarded a CBE in 1953 and was knighted in 1969 ‘for services to art and architecture’. Lola Pevsner died in 1963. 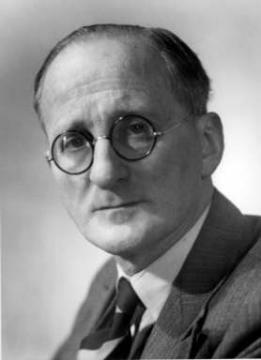 Pevsner died in 1983 in Hampstead, London, and he was buried in the churchyard of St Peter, Clyffe Pypard, in Wiltshire. Two biographies have been published. The first, one of two volumes by Stephen Games, Pevsner: The Early Life in 2010, and the second by Susie Harries, Nikolaus Pevsner: The Life, published in 2012.